Offering hundreds of the finest makers of quality furniture and accessories, all beautifully displayed in one of California's largest showroom. We have listened to and learned from our clients as to which products are of most interest. In many cases we offer products not available anywhere in the US. Menlo Park Custom Created Furniture Best of Houzz 2016-2017! We offer custom designed, hand-crafted live edge and solid wood furniture and accessories for your home or office through sustainable and reclaimed sources. For 60 years, Flegels has been recognized as the Bay Area leader for quality home furnishings and interior design. Our well-respected, family-owned company offers California’s largest selection of high-end furnishings from a wide variety of internationally acclaimed manufacturers. Flegel's award winning interior designers and dedicated support staff provide a high level of personalized service and customer care that no other retail store or studio can match. At Modern Wood Style we celebrate the beauty and history of Old Growth wood in each piece of reclaimed wood furniture we create. Unique custom woodworking that highlights the elements of urban design for urban living environments. One-of-a-kind, modern environmental furniture hand-crafted in the California, USA. Whether it's a solid wood dining table, wood bar stools or other wood products, Urban Decor is our focus. All of our custom reclaimed wood furniture is made-to-order to the measurement requirements and style you choose. Whether you want to design a custom dining table, console table, coffee table, bench, or desk, with our simple tool you can design the perfect piece made for you. 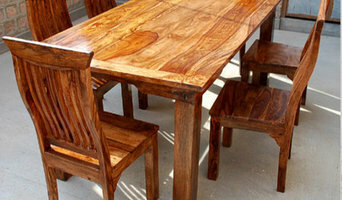 We specialize in: Wood Tables, Computer Desks, Conference Tables, Shelves, Benches, Kitchen , Coffee Tables . Balsam Hill offers the most luxurious, realistic-looking artificial Christmas trees, wreaths, and garlands on the market. Our award-winning, ultra-realistic Christmas trees have graced the stage of popular TV shows including Ellen and Oprah. It has been featured in a variety of design and lifestyle magazines including Food & Wine, Country Living, Coastal Living, Good Housekeeping and more. Visit us at www.balsamhill.com to see the Balsam Hill difference. The Rose Collection offers you a unique combination of elegant and distinctive home furnishings coupled with design experience of more than 25 years. Visit our showroom and choose from a combination of luxurious upholstery, bedding and drapery fabrics, distinctive furniture and eclectic accessories to create an alluring atmosphere, which compliments any unique lifestyle. Founder Cherie Rose and her interior designers extend their knowledge and passion to design to you, transforming each room into not only a beautiful work of art, but also a functional, relaxing and comforting environment. Cherie Rose has been a general contractor specializing in remodels, kitchen and bath design since 1983. She has a team of subcontractors that are organized, efficient and excellent craftsmen and have worked with her for many years. No job is too small or too big. They install all the product they sell at The Cherie Rose Collection including lighting, mirrors, wall hangings, cabinetry and draperies. Planning on buying new furniture and accessories for your Mountain View, CA home? A wide range of home furnishings and home decor accessories are available in the marketplace. 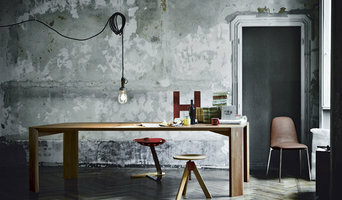 If this is your first home, check out our directory of furniture retailers in your area for ideas and cost comparisons. Or you may already have a favorite style and a furniture retailer that you’ve worked with in the past. Whatever your situation, it’s always a good idea to do some research before visiting a Mountain View, CA retailer or finding a custom furnishings manufacturer. Take your time on any buying decisions. 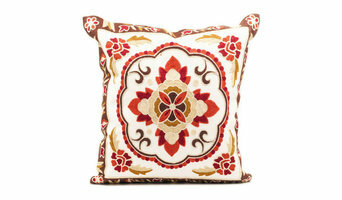 If contemporary is your style, don’t buy something traditional because it’s on sale. Many California home furnishers offer interior design consultations or room planning guides to get you started. Whether you decide to work with a home decor specialist or to become your own expert, it’s important not to rush the furniture-buying process. Visit plenty of Mountain View, CA showrooms and stores so you can feel comfortable with your purchase. Find furniture and accessories manufacturers, showrooms and retailers on Houzz. Narrow your search in the Professionals section of the website to Mountain View, CA furniture and accessories, then choose the nearest metro area for showrooms and retailers. Or you may want to look through California photos to find designs you like and contact the furniture manufacturers and showroom galleries directly.